Immutability is the aspect of God’s character that shows us He is trustworthy. An immutable God is one who does not and cannot change. The Lord Himself defines this attribute: “For I am the LORD, I change not; therefore ye sons of Jacob are not consumed” (Mal 3:6 KJV). Though at face value this may seem to be a description of a stoic or even lifeless god, it is the very reason why He can still be trusted as a life-giving God. The weight, or the importance of immutability, permeates the pages of Scripture and ought to be reflected in our relationship with Him on a daily basis. This will become evident as we consider the why, where, and how of this great doctrine. Why is immutability so important? Consider the opposite of immutability. Imagine a God whose character changes. Depending on the climate or circumstances, this deity would use different standards for the same situations. To give a more concrete example, consider Abraham. When he left Ur, following the Lord “not knowing whither,” he did know that the terrain and the troubles would change wildly from his comfortable beginnings. 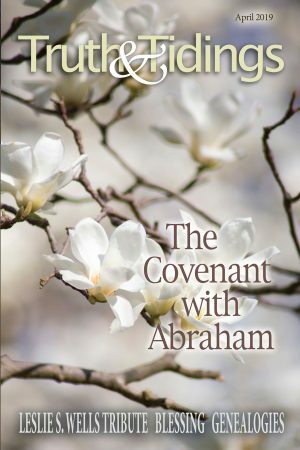 However, if Abraham had the slightest notion that the promises of a great nation and a great name were nothing more than a slight possibility, he would not have left, and with good reason. God’s unchanging character guarantees His love and care, not only from Ur to Canaan but also from where you are to where He is calling you. Why is immutability so important? Without it our confidence in all God has promised to do is unfounded. Both testaments of Scripture are infused with evidence of this attribute. Aside from the unequivocal statement found in Malachi, there are others which, though less explicit, leave no room to deny His immutability: “Remember the former things of old: for I am God, and there is none else; I am God, and there is none like me, Declaring the end from the beginning, and from ancient times the things that are not yet done, saying, My counsel shall stand, and I will do all my pleasure … yea, I have spoken it, I will also bring it to pass; I have purposed it, I will also do it” (Isa 46:9-11 KJV). Moving from the prophets to the psalms we find this note of confidence in “the patriot’s lament”: “They shall perish, but thou shalt endure: yea, all of them shall wax old like a garment; as a vesture shalt thou change them, and they shall be changed: But thou art the same, and thy years shall have no end” (102:26-27 KJV). Is there any sense in which God does change? Before concluding with a practical note, it is important to address the topic of the repentance of God. This concept is found in 1 Samuel 15:10,11: “Then came the word of the LORD unto Samuel, saying, It repenteth me that I have set up Saul to be king” (KJV). What are we to make of the supposed discrepancy between this statement and what the prophet says later in the chapter? “And also the Strength of Israel will not lie nor repent: for he is not a man, that he should repent” (v29 KJV). First, it is important to allow the chapter to speak as a whole before we investigate individual words. The prophet is not speaking haphazardly, making bold, contradictory statements without regard for theological congruity. At the beginning of the chapter (v11) he wants to emphasize “the sorrow of the divine love at the rebellion of sinners,” not the pain of a domestic policy failure. How do we know this? A definition of terms will help. The Hebrew word used for regret in verses 11, 29, 35 is the same (it is also used in Genesis 6:6). This poses a problem for the nonchalant, casual readers our information-saturated era has created. It appears that Nathan could see the reader conflating our regret with God’s regret. To avoid confusion, he makes the definite statement “for he is not a man, that he should repent” (v29), i.e., though it is the same Hebrew word, God does not repent in the same way that man does. “The repentance of God does not presuppose any variableness in His nature or His purposes. In this sense God never repents of anything.” Repentance (Heb. nicham), in this sense, expresses pain and anguish at man’s failures, for He has none of His own of which to repent. The immutability of God not only confirms His constant care but also the consistent outworking of His eternal purpose. One thing learned quickly when you have a young family is your children’s need for consistency in every aspect of their lives. There is no difference when it comes to God’s children, and perhaps the most comforting aspect of God’s immutability is that it shows us He is a consistent God. Consider this as you read Romans 9-11. Complexities aside, the thrust of the section is the consistency of God’s word and character. Concerning the question “Is there a future for Israel?” Paul answers this way: “And so all Israel shall be saved: as it is written, There shall come out of Sion the Deliverer, and shall turn away ungodliness from Jacob: For this is my covenant unto them, when I shall take away their sins” (11:26-27 KJV). The covenant was made. His word was given. His purpose for Israel is consistent – the same today as when it was spoken by Jeremiah over 2600 years ago. In the same manner, His word regarding your future will always be the same: “I have purposed it, I will also do it” (Isa 46:11 KJV). ¹ Spurgeon, C.H., The Treasury of David, Psalm 102. ² Blomberg, C. L., & Kamell, M. J. (2008). James (Vol. 16). Grand Rapids, MI: Zondervan. ³ Keil, Carl Friedrich & Delitzsch, Franz. The Keil & Delitzsch Commentary on the Old Testament, 1 Samuel. ⁴ Keil, Carl Friedrich & Delitzsch, Franz. The Keil & Delitzsch Commentary on the Old Testament, Genesis.